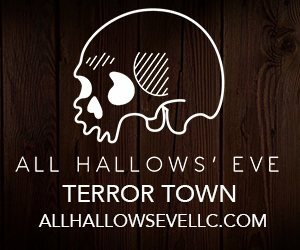 Cincinnati Haunted Houses are one of the most classic attractions celebrating Halloween in 2019 during the Fall, and the Season simply wouldn’t be the same without indulging in this spooky seasonal stable. If you’re ready for some heart pounding frights, and you’ve got a passion for horror, then it’s time to head out to a local Cincinnati Haunted Houses, and get your fill of thrills and chills. 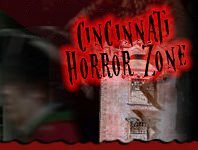 Just remember - Cincinnati Haunted Houses are not for the faint of heart - you never know who, or what might pop out, and these attractions are meant to be enjoyed by those who love a night of fright. Brimstone Haunted Hayride Wilmington 17 days ago Rate Now! Fear Factory Batesville 176 days ago Rate Now! Fear Fair Seymour 244 days ago Rate Now! Haunted Culbertson Mansion New Albany 192 days ago Rate Now! Haunted Hotel Louisville 235 days ago Rate Now! House of Trepidation Indianapolis 209 days ago Rate Now! The Dent Schoolhouse Cincinnati 245 days ago Rate Now! The Devil's Attic Louisville 242 days ago Rate Now! The Mt Healthy Haunted Hall Cincinnati 223 days ago Rate Now!